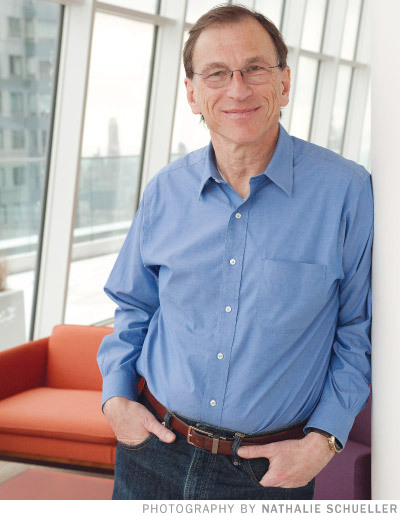 Jack Schwager began his career in markets as a research director for Paine Webber looking into the emerging commodity trading advisor (CTA) universe. His research and writing skills led him to write several technical trading books. But he longed to learn more about what makes successful traders than can be found from a quantitative study and decided to go right to the source by interviewing the most successful traders of the day. Schwager has gone beyond simply telling the stories of successful traders. His knowledge of the space landed him a position as co-portfolio manager for ADM Investor Services’ Diversified Strategies Fund and he has consulted for institutional investors for many years. His early “Market Wizards” not only told the compelling stories of successful traders, but also served as inspiration to a generation of new traders, many of whom have taken their place in the roster of market wizards inspired by the stories in the original books. His newest book, “Market Sense and Nonsense,” attempts to debunk many of the misconceptions in the investment world. We talk to Schwager about what he has learned interviewing traders over the years. Futures Magazine: Jack, you have had a long distinguished career in finance but are best known for your "Market Wizards" series of books. What drew you to interview successful traders? Jack Schwager: The idea came years before the first "Market Wizards" book. I thought it would be a good way to meet these people and it was an interesting project, but I had a day job and I wasn’t about to start another book. But I was approached by [a publisher] who said, 'We would like to do a series of books and I want you to be the managing editor.' They wanted me to do a bunch of analytical books, and I said, 'Thanks, but no thanks. I’ve done my analytical book, but I have this idea [for a book on traders].' They said that’s great so that was the catalyst. Editor-in-Chief of Modern Trader, Daniel Collins is a 25-year veteran of the futures industry having worked on the trading floors of both the Chicago Board of Trade and Chicago Mercantile Exchange. Dan joined Futures magazine in 2001, before the name change to Modern Trader, and in 2005 he was promoted to Managing Editor, responsible for overseeing all the content that went into Futures and futuresmag.com. Dan’s incisive reporting and no-holds barred commentary places him among the most recognized national media figures covering futures, derivative trading and alternative investments. Is it time to add managed futures to your holiday shopping list?